A prosthodontist is a qualified dentist who has completed an extra four years of full-time post-graduate training in the specialty of prosthodontics at an accredited university. He restores broken down teeth (caused by decay, trauma, and “wear and tear” due to grinding or bruxism) and also malformed teeth by means of custom made restorations,such as crowns, inlays, onlays, and veneers. He replaces missing teeth by means of dentures, bridges and implants. 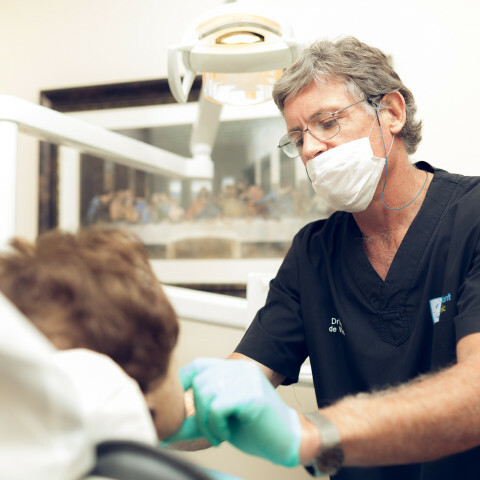 He treats endodontic or root canal problems. He corrects and manages occlusal/bite problems, as well as joint / TMJ and jaw muscle problems. He is responsible for the restoration of dental implants by means of crowns, bridges and removable prostheses or dentures. We are a specialist dental practice using the most advanced clinical techniques & state-of-the-art equipment in line with the highest international standards. We are committed to service excellence & strive to provide our patients with pain & stress-free treatments which has been tailored according to their needs.